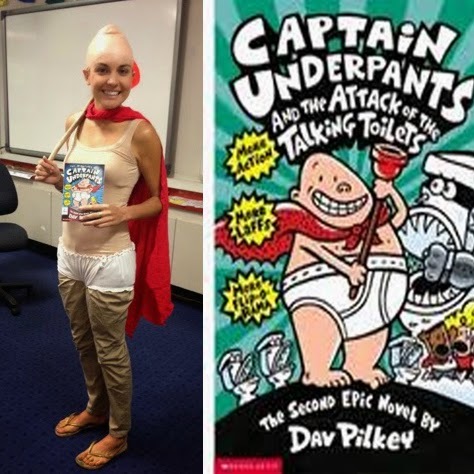 Most years I celebrate Book Week in Australia by dressing up in the most humorous book character outfit I can conjure up (usually hours before the school’s costume parade). Never did I consider that one day others might dress as a character from a book I produced. While that may still be some time away (if ever), I can’t believe this Book Week involves presenting my book, Noonie and the Missing Bone and facilitating workshops with eight grades of children, years 4-6. I hope my workshops give reluctant students (like my child-self) writing strategies the confidence they need to share their unique story and acknowledge their ability to create! Here’s an article I produced for ASG, suggesting 5 ways parents can encourage reading from a young age. Hold a book in your hand and imagine it’s a toy box; like a collection of toys, each page stimulates the imagination and incites the reader to play and create. When you turn the cover, you lift off the lid and invite your child to peer inside. What will you grab out for them? How will you show them what it can do? Unlike most toys, young children need regular exposure to books and lots of guidance to maximise learning and enjoyment. By incorporating these five recommendations, you and your child will continually develop new skills and share a love of reading. It’s invigorating to watch someone in their element; like a chef in her own kitchen or a retiree tending to his garden. Children love nothing more than to see their parents enjoy themselves and to become part of the experience. One of the quickest ways to reignite your enthusiasm for reading is to spend a day at the library in the picture book section. Reacquaint yourself to old classics like Picasso the Green Tree Frog, Possum Magic and Hairy Maclary. Read them to your child and tell them what the book means to you. Who introduced you to the story? Did the characters have voices? The passion and energy you exude will make a lasting impression on your child and produce good feelings you’ll both want to recreate. I haven’t watched Playschool for two decades but I can still recall the lyrics of On the Ning Nang Nong (YouTube it right now if you don’t know what I’m talking about). Singing, dancing and dramatization of any description inject personality and liveliness. Use the words and illustrations to inspire impromptu performances and games. For example, you could sing an adaptation of Old Macdonald Had a Farm using animals featured in the story. Using character voices helps the story come alive and holds a young reader’s attention. When I was a child, I was fascinated by pop-up books such as How Many Bugs in a Box. I also loved books with small compartments containing bits and pieces I could take out and investigate. Now there are all sorts of tactile books available, made suitable for all ages. The soft books with built in finger puppets are brilliant, as are the alphabet books incorporating textured surfaces. Sight and sound are predominately engaged while reading, so the addition of touch alters the experience and gives the reader an opportunity to explore and learn in a different way. Have you ever been talked at, rather than to? Think about how you felt in that moment. Remind yourself to read “with” your child, rather than “to”. Every now and then, stop on a page and admire it like you would a painting. Point to something you like and come up with an “I wonder” question to say aloud. Your child may be too young to respond, but you can encourage them to point, clap, copy sounds and/or focus on particular elements on the page. Thinking about a book like a painting helps appreciate the depth of information one page can provide. The last page of the book doesn’t have to be the end. Turn back to your favourite page or a significant point in the story. Play guessing games by describing an element on the page your child must seek out like “I spy”. Write a commonly used word or character’s name on a scrap piece of paper and hand it to your child. Reread the story and have them hold up the paper each time they hear the word in the story; they can also locate it on the page by studying its letters. This strategy can be used when reading to several children by appointing each a different word to focus on. These simple games help children to tune in while the story is being read and consider aspects of the story in particular detail. Casey Hawkins is a young award-winning teacher, author and visual artist, who aspires to work with as many students as possible to boost their confidence and know-how in creative story telling. In 2016 she was awarded an ASG National Excellence in Teaching Award for her ability to engage the wider community. Casey is also the author of Noonie and the Missing Bone. As well as being a great story, Noonie and the Missing Bone has also been designed to be used as a resource for parents and teachers to inspire children to write and illustrate their own short stories. It includes helpful story writing instructions and planning pages to assist students to develop their own wonderful short story. Visit www.nansluckyduck.com.au/noonie for more info.